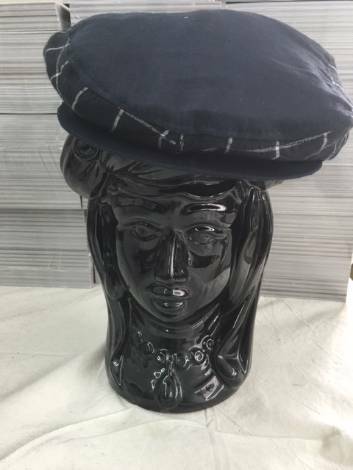 "Coppola" is the name of the traditional Sicilian hat for men, whose origin dates back to the beginning of the XIX century. Coppola's main functional feature is that it stays firmly on the head, and its peak helps to protect the eyes from the sun. After being considered for a long time a traditional accessory of Sicilian men, the coppola has now become an unmissable contemporary fashion accessory. Our coppolas are made using exclusively natural textiles and they are uniquely produced and assembled.